The German low-cost supermarket chain Aldi has managed a successful invasion of Britain, with its policy of rock bottom prices proving popular during a recession, when shoppers are looking for bargains. As the chain expands, there are plenty of opportunities for Aldi jobs, ranging from management positions to shop-floor staff and warehousing assistants. 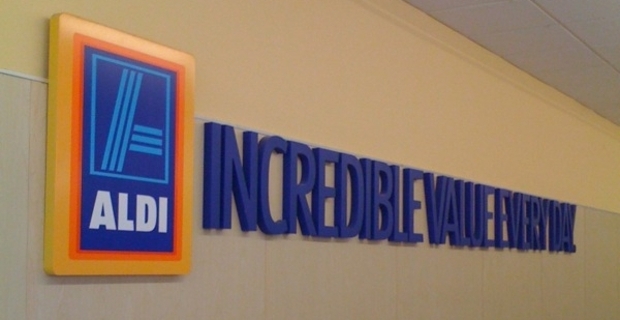 Graduates looking for Aldi jobs are offered the opportunity to join a management scheme offering some of the highest starting salaries in the industry, at £40,000 plus a company car. Aldi are looking for driven candidates with a strong work ethic and a good degree to join a training programme that involves spells on the shop floor, in regional offices and accounts sections. Those looking for Aldi jobs on the shop floor can search for vacancies at local stores on the website. Basic store assistant posts, involving checkout work and shelf-filling start at £8-9 an hour. The website also has details of distribution jobs, based in stores or in the substantial Aldi supply warehouses around the country. With supermarkets open late, a flexible approach to working hours is essential. This kind of work could suit those looking for part-time employment, with a minimum of 15 hours work per week required. Store assistants are offered the opportunity to rise through the ranks to assistant store manager and store manager positions. A store manager will earn a minimum of £33,000. This role will occasionally entail working long hours, but store managers are able to adjust their own working timetable to some extent. The attraction of Aldi jobs for many is the rapid growth of the company. Advancement can be swift as Aldi values the experience of workers who have been a part of its success. Aldi rewards teamwork and company loyalty and its salary packages are among the more generous in the retail sector. Are there any Tesco supermarket jobs that appeal to you out there?